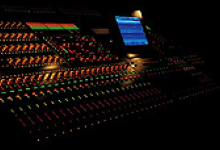 Jands Production Services have added to their extensive rental inventory an additional (2) of Yamaha’s newest digital mixing console, the PM5D-RH . They were specified as the Monitor mixing consoles for the upcoming arena musical spectacular, Grease. This arena musical production will tour major concert venues throughout Australiaâ€™s capital cities during May & June 2005. This production is an adaptation of the 70â€™s box office smash movie and will consist of a live pit band and a large cast of (50) stage performers. Acclaimed Asian artist Sam Hui recently performed to a packed house at the Sydney Entertainment Centre on the 22nd April. The Hong Kong-based singer, actor and comedian enthralled his audience with an action-packed show featuring a six-piece band, four guest vocalists, grand piano and dancing girls! 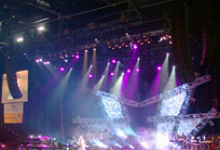 JPS managed production for the show, which included, along with the the supply of sound and audio services, arranging for the supply of lighting equipment, backline, confetti, pyrotechnics, staging, catering, staff and labour. A JBL VerTec 4889 system powered by Crown MA5002VZ Amplifiers and controlled by BSS 366 Omnidrives was designed and supplied by JPS. The system comprised of 36 x VerTec 4889 cabinets, 32 x JPS sub cabinets and 12 x JBL 4892 array cabinets for stage infill. At Front-of-House the system was controlled by a Midas XL-4 48, whilst a Midas Heritage 3000 was supplied at the monitor position for the 22 x Clair 12AM Monitor speakers and five sets of Shure PSM700 In-Ear Monitor Systems. The artists also utilised over twenty Shure U-Series radio microphone systems during the performance. 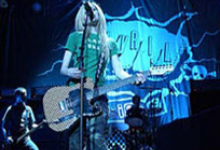 Avril Lavigne recently toured Australia for the third time. Her tour carried 24 V-Dosc cabinets powered by Crown amplifiers and took in Sydney, Melbourne, Brisbane, Adelaide, Perth and Newcastle. Backed up by a quartet of musicians her sound was tough.